The advent of highly active antiretroviral therapy (HAART) and combined antiretroviral therapy (cART) has substantially increased the life expectancy of patients infected with human immunodeficiency virus (HIV). However, this has brought into sharp contrast the incidence of several non-acquired immunodeficiency syndrome (non-AIDS) diseases such as NeuroAIDS, which identifies a group of neurological disorders caused primarily by HIV-mediated damage to the central and peripheral nervous systems. Given the patients’ depleted immune condition, the use and abuse of drug and addictive substances such as tobacco smoking can further deteriorate their overall health and accelerate the progression and severity of the disease. In this review, we detail the pathogenesis, progression, and characteristics of HIV, and the impact of tobacco smoking as a risk factor for the progression of the disease to NeuroAIDS. This is a poorly understood aspect of HIV-related complications that needs to be addressed. Review of theoretical approaches and knowledge synthesis. Tobacco smoking is highly prevalent in HIV patients when compared to the general population. The oxidative damage and inflammatory stress caused by chronic smoking on the cerebrovascular system have been well established. 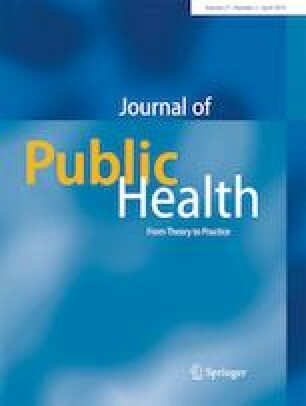 Considering that HIV patients have an impaired immune system and smokers per se are more susceptible to viral and bacterial inflammatory neuropathologies than non-smokers, it is conceivable that tobacco smoking is a risk factor for the progression of HIV into NeuroAIDS and related neurological impairments. Tobacco smoke (TS) may bring about a synergistic effect in the context of persistent inflammatory state and cerebrovascular damage which facilitate HIV infection and progression to NeuroAIDS when compared to non-smokers. • NeuroAIDS identifies a group of neurological disorders caused primarily by HIV-mediated damage to the central and peripheral nervous systems. • Tobacco smoking is a risk factor for the progression of HIV into NeuroAIDS and related neurological impairments. • Smokers are more susceptible to viral and bacterial inflammatory neuropathologies than non-smokers. • TS may bring about a synergistic effect in the context of persistent inflammatory state and cerebrovascular damage which facilitates HIV infection and progression to NeuroAIDS when compared to smokers. This work was supported by the National Institutes of Health/ National Institute on Drug Abuse 2R01-DA029121-01A1 to Dr. Luca Cucullo. A.B. prepared the draft of the manuscript, figure preparations. L.C. conceived the study, assisted with data interpretation, drafting of the manuscript, and preparation of the figures. L.C. also oversaw the research study and provided funding. Both authors reviewed the manuscript.